I heard this dealership sells more Mercedes than any other in the entire world. Not difficult to believe, since so many high school kids drive around in new Mercedes. 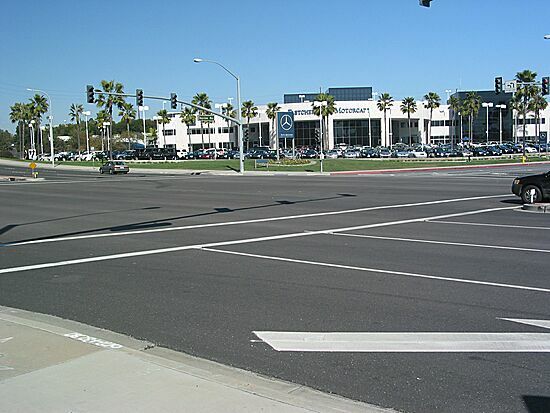 This dealership sits at the end of the Newport Back Bay, which is right behind you. A map of the entire Back Bay is posted > HERE.